When the day that he must go hence was come, many accompanied him to the river-side, into which as he went, he said, "Death, where is thy sting?" And as he went down deeper, he said, "Grave, where is thy victory? 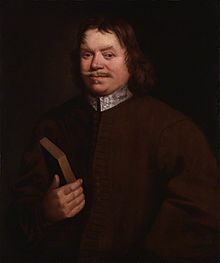 John Bunyan (28 November 1628 – 3 August 1688) was a Christian writer and preacher, born at Harrowden, in the Parish of Elstow, England, most famous for the allegorical work The Pilgrim's Progress. Now I saw in my dream, that the highway, up which Christian was to go, was fenced on either side with a wall, and that wall was called salvation. See that your cause be good, else Christ will not undertake it. When a man's cause is good, it will sufficiently plead for itself, yea, and for its master too. As quoted from Grace Abounding (1910 edition), edited with introduction by Edward Chauncey Baldwin, unless otherwise indicated. Now, therefore, they began to praise, to commend and to speak well of me, both to my face, and behind my back. Now, I was, as they said, become godly; now I was become a right honest man. But, oh! when I understood that these were their words and opinions of me, it pleased me mighty well. For though, as yet, I was nothing but a poor painted Hypocrite, yet I loved to be talked of as one that was truly godly. I was proud of my Godliness, and, indeed, I did all I did, ether to be seen of, or to be well spoken of, by Man. By these things my Mind was now so turned that it lay like a Horse-leech at the Vein, still crying out, Give give, yea, it was so fixed on Eternity, and on the things about the Kingdom of Heaven (that is, so far as I knew, though as yet... I knew but little); that neither Pleasures, nor Profits, nor Persuasions, nor Threats, could loosen it, or make it let go his Hold. ...it is in very deed a certain Truth, it would then have been as difficult for me to have taken my mind from Heaven to Earth, as I have found it often since to get it again from Earth to Heaven. [T]he Tempter came in with his delusion, That there was no way for me to know I had faith, but by trying to work some Miracle; urging those Scriptures that seem to look that way, for the enforcing and strengthening his Temptation. Nay, one day as I was betwixt Elstow and Bedford, the temptation was hot upon me, to try if I had Faith, by doing of some Miracle: which Miracle at that time was this, I must say to the Puddles that were in the horse-pads, Be dry; and to the dry places, Be you the Puddles. ...but just as I was about to speak, this thought came into my mind, But go under yonder Hedge and pray first, that God would make you able. But when I had concluded to pray, this came hot upon me, That if I prayed, and came again and tried to do it, and yet did nothing notwithstanding, then be sure I had no Faith, but was a Cast-away and lost. Nay, thought I, if it be so, I will never try... Thus I was tossed betwixt the Devil and my own Ignorance, and so perplexed... that I could not tell what to do. About this time... in a Dream or Vision, presented to me. I saw, as if they were set on The Sunny side of some high Mountain, there refreshing themselves with the pleasant beams of the Sun, while I was shivering and shrinking in the Cold, afflicted with Frost, Snow, and dark Clouds. Methought, also, betwixt me and them, I saw a wall that did compass about this mountain; now, through this wall my soul did greatly desire to pass; concluding, that if I could, I would go even into the very midst of them, and there also comfort myself with the heat of their Sun. ...At the last, I saw... a narrow gap, like a little doorway in the Wall, through which I attempted to pass. Now the passage being very strait and narrow... I was well nigh quite beat out, by striving to get in ...Then was I exceeding glad, and went and sat down in the midst of them, and so was comforted with the light and heat of their Sun. Now, this... Mountain signified the Church of the living God; the Sun that shone thereon, the comfortable shining of his merciful Face on them that were therein; the Wall, I thought, was the Word, that did make separation between the Christians and the World; and the Gap which was in this Wall, I thought was Jesus Christ, who is the way to God the Father. But forasmuch as the Passage was wonderful narrow... it showed me that none could enter into Life, but those that were in downright earnest, and unless also they left this wicked World behind them; for here was only room for Body and Soul, but not for Body and Soul, and Sin. Pilgrim's Progress (1847 edition), edited by George Offor; also in The Works of John Bunyan, Volume 3 (1855) edited by George Offor The original work was not divided into chapters; chapter titles used here are from later editions, for convenience in keeping quotes and passages in sequential order. Apollyon beware what you do, for I am in the King's Highway, the way of Holiness, therefore take heed to your self. Rejoice not against me, O mine Enemy! when I fall, I shall arise. I am one whose name is Valiant-for-truth. I am a pilgrim, and am going to the Celestial City. Every fat must stand upon its own bottom. But now in this Valley of Humiliation poor Christian was hard put to it, for he had gone but a little way before he espied a foul Fiend coming over the field to meet him; his name is Apollyon. Then did Christian begin to be afraid, and to cast in his mind whether to go back, or to stand his ground. But he considered again, that he had no Armor for his back, and therefore thought that to turn the back to him might give him greater advantage with ease to pierce him with his Darts; therefore he resolved to venture, and stand his ground. For thought he, had I no more in mine eye than the saving of my life, 'twould be the best way to stand. So he went on, and Apollyon met him. Now the Monster was hideous to behold, he was cloathed with scales like a Fish (and they are his pride) he had Wings like a Dragon, feet like a Bear, and out of his belly came Fire and Smoke, and his mouth was as the mouth of a Lion. When he was come up to Christian, he beheld him with a disdainful countenance, and thus began to question with him. Apollyon: Whence come you, and whither are you bound? Christian: I am come from the City of Destruction, which is the place of all evil, and am going to the City of Zion. Apollyon: By this I perceive thou art one of my Subjects, for all that Country is mine; and I am the Prince and God of it. How is it then that thou hast run away from thy King? Were it not that I hope thou mayest do me more service, I would strike thee now at one blow to the ground. Christian: I was born indeed in your Dominions, but your service was hard, and your wages such as a man could not live on, for the wages of Sin is death; therefore when I was come to years, I did as other considerate persons do, look out if perhaps I might mend my self. Apollyon: There is no Prince that will thus lightly lose his Subjects, neither will I as yet lose thee. But since thou complainest of thy service and wages be content to go back; what our Country will afford, I do here promise to give thee. Christian: But I have let myself to another, even to the King of Princes, and how can I with fairness go back with thee? Apollyon: Thou hast done in this, according to the Proverb, Changed a bad for a worse: but it is ordinary for those that have professed themselves his Servants, after a while to give him the slip, and return again to me: do thou so to, and all shall be well. Christian: I have given him my faith, and sworn my Allegiance to him; how then can I go back from this, and not be hanged as a Traitor? Apollyon: Thou didst the same to me, and yet I am willing to pass by all, if now thou wilt yet turn again, and go back. Christian: What I promised thee was in my nonage; and besides, I count that the Prince under whose Banner now I stand, is able to absolve me; yea, and to pardon also what I did as to my compliance with thee: and besides, (O thou destroying Apollyon) to speak truth, I like his Service, his Wages, his Servants, his Government, his Company, and Country better than thine: and, therefore, leave off to perswade me further, I am his Servant, and I will follow him. Apollyon: Consider again when thou art in cool blood, what thou art like to meet with in the way that thou goest. Thou knowest that for the most part, his Servants come to an ill end, because they are transgressors against me, and my ways. How many of them have been put to shameful deaths! and besides, thou countest his service better than mine, whereas he never came yet from the place where he is, to deliver any that served him out of our hands; but as for me, how many times, as all the World very well knows, have I delivered, either by power or fraud, those that have faithfully served me, from him and his, though taken by them, and so I will deliver thee. Christian: His forbearing at present to deliver them, is on purpose to try their love, whether they will cleave to him to the end: and as for the ill end thou sayest they come to, that is most glorious in their account. For for present deliverance, they do not much expect it; for they stay for their Glory, and then they shall have it, when their Prince comes in his, and the Glory of the Angels. Apollyon: Thou hast already been unfaithful in thy service to him, and how doest thou think to receive wages of him? Christian: Wherein, O Apollyon, have I been unfaithful to him? Apollyon: Thou didst faint at first setting out, when thou wast almost choked in the Gulf of Dispond; thou didst attempt wrong ways to be rid of thy burden, whereas thou shouldest have stayed till thy Prince had taken it off: thou didst sinfully sleep and lose thy choice thing: thou wast also almost perswaded to go back, at the sight of the Lions; and when thou talkest of thy Journey, and of what thou hast heard, and seen, thou art inwardly desirous of vain-glory in all that thou sayest or doest. Christian:All this is true, and much more, which thou hast left out; but the Prince whom I serve and honour, is merciful, and ready to forgive: but besides, these infirmities possessed me in thy Country, for there I suckt them in, and I have groaned under them, been sorry for them, and have obtained pardon of my Prince. Apollyon: Then Apollyon broke out into a grievous rage, saying, I am an enemy to this Prince: I hate his Person, his Laws, and People: I am come out on purpose to withstand thee. Christian: Apollyon beware what you do, for I am in the King's Highway, the way of Holiness, therefore take heed to your self. Apollyon: Then Apollyon straddled quite over the whole breadth of the way, and said, I am void of fear in this matter, prepare thy self to die, for I swear by my Infernal Den, that thou shalt go no further, here will I spill thy soul; and with that, he threw a flaming Dart at his breast, but Christian had a Shield in his hand, with which he caught it, and so prevented the danger of that. Then did Christian draw, for he saw 'twas time to bestir him; and Apollyon as fast made at him, throwing Darts as thick as Hail; by the which, notwithstanding all that Christian could do to avoid it, Apollyon wounded him in his head, his hand and foot; this made Christian give a little back: Apollyon therefore followed his work amain, and Christian again took courage, and resisted as manfully as he could. This sore combat lasted for above half a day, even till Christian was almost quite spent. For you must know that Christian by reason of his wounds, must needs grow weaker and weaker. Whoso beset him round With dismal stories, Do but themselves confound; His strength the more is. Hobgoblin nor foul fiend Can daunt his spirit; He knows he at the end Shall life inherit. My sword I give to him that shall succeed me in my pilgrimage, and my courage and skill to him that can get it. My marks and scars I carry with me, to be a witness for me that I have fought His battles who will now be my rewarder. Have God to be his guide. Is best from age to age. After this it was noised abroad that Mr. Valiant-for-truth was taken with a summons by the same post as the other, and had this for a token that the summons was true, "That his pitcher was broken at the fountain." When he understood it, he called for his friends, and told them of it. Then said he, I am going to my Father’s; and though with great difficulty I have got hither, yet now I do not repent me of all the trouble I have been at to arrive where I am. My sword I give to him that shall succeed me in my pilgrimage, and my courage and skill to him that can get it. My marks and scars I carry with me, to be a witness for me that I have fought His battles who will now be my rewarder. When the day that he must go hence was come, many accompanied him to the river-side, into which as he went, he said, "Death, where is thy sting?" And as he went down deeper, he said, "Grave, where is thy victory?" So he passed over, and all the trumpets sounded for him on the other side. Was not John Bunyan an extremist?— "I will stay in jail to the end of my days before I make a butchery of my conscience" … So the question is not whether we will be extremists, but what kind of extremists we will be. Will we be extremists for hate or for love? ~ Martin Luther King Jr.
Bunyan... set about the composition of a book, which, under the title of "Grace Abounding to the Chief of Sinners," gives, as he only could give it, the story of his life. This proved to be one of his most memorable compositions, and associates itself in one's mind with Augustine's confessions and the heart-utterances of Luther. ...This book, which in parts is weird and terrible as his own picture of the valley of the shadow of death, is yet in its alternations a faithful transcript of the writer's soul, and must be read in order to a right understanding of the man as he was, both in strength and weakness. John Brown, John Bunyan His Life Times and Work (1885) p. 179-181. What hath the devil, or his agents, gotten by putting our great gospel minister Bunyan in prison? For in prison he wrote many excellent books, that have published to the world his great grace, and great truth, and great judgment, and great ingenuity; and to instance in one, the "Pilgrim's Progress," he hath suited to the life of a traveller so exactly and pleasantly, and to the life of a Christian, that this very book, besides the rest, hath done the superstitious sort of men more good than if he had been let alone at his meeting at Bedford, to preach the gospel to his own auditory. Bunyan was a true artist, though he knew nothing of the rules, and was not aware that he was an artist at all. James Anthony Froude, "Bunyan" English Men of Letters (1880) Vol. VII, Ch. VII, p. 94. It has been the fashion to dwell on the disadvantages of his education, and to regret the carelessness of nature which brought into existence a man of genius in a tinker's but at Elstow. Nature is less partial than she appears, and all situations in life have their compensations along with them. Circumstances I should say, qualified Bunyan perfectly well for the work which he had to do. If he had gone to school, as he said, with Aristotle and Plato; if he had been broken in at a university and been turned into a bishop; if he had been in any one of the learned professions, he might easily have lost, or might have never known, the secret of his powers. He was born to be the Poet-apostle of the English middle classes, imperfectly educated like himself; and, being one of themselves, he had the key of their thoughts and feelings in his own heart. Like nine out of ten of his countrymen, he came into the world with no fortune but his industry. He had to work with his hands for his bread, and to advance by the side of his neighbours along the road of common business. His knowledge was scanty, though of rare quality. He knew his Bible probably by heart. He had studied history in Foxe's Martyrs, but nowhere else that we can trace. The rest of his mental furniture was gathered at first hand from his conscience, his life, and his occupations. Thus, every idea which he received falling into a soil naturally fertile, sprouted up fresh, vigorous, and original. James Anthony Froude, "Bunyan" English Men of Letters (1880) Vol. VII, Ch. X, pp. 172-173. Those who project total responsibility for their actions on heredity circumstances fail to see that numerous individuals rise above such circumstances. There is a John Bunyan, deprived of his physical sight, and yet he wrote a Pilgrim's Progress that generations will cherish so long as the cords of memory shall lengthen. Was not John Bunyan an extremist? — "I will stay in jail to the end of my days before I make a butchery of my conscience". . . So the question is not whether we will be extremists, but what kind of extremists we will be. Will we be extremists for hate or for love? Will we be extremists for the preservation of injustice or for the extension of justice? In that dramatic scene on Calvary's hill three men were crucified. We must never forget that all three were crucified for the same crime — the crime of extremism. Two were extremists for immorality, and thus fell below their environment. The other, Jesus Christ, was an extremist for love, truth and goodness, and thereby rose above his environment. Perhaps the South, the nation and the world are in dire need of creative extremists. When Bunyan entered upon ministerial duties, it was with the deepest anxiety; in proclaiming the unsearchable riches of Christ, his first effort was to fix upon his hearers the all-important truth, 'Ye must be born again.' This soon led him into controversy, in which he made marvellous discoveries of the state of society... Strangely absurd errors were promulgated, to conquer which, all the mighty energies of Bunyan's mind... were brought into active exercise. Limited in preaching to the few who were within the sound of his voice, and knowing that poisonous errors had extended throughout the kingdom, he sought the all-powerful aid of the press, and published several searching treatises before his imprisonment. Soon after this, he was called to suffer persecution as a Christian confessor, and then his voice was limited to the walls of his prison, excepting when, by the singular favour of his jailers, he was permitted to make stolen visits to his fellow-Christians. From the den in this jail issued works which have embalmed his memory in the richest fragrance in the churches of Christ, not only in his native land, but in nearly all the kingdoms of the world. Thus was the folly of persecution demonstrated, while the mad wrath of man promoted the very object which it intended to destroy. George Offer, Preface, The Works of John Bunyan (1858) ed., George Offer, Vol. 1, Experimental, Doctrinal, and Practical, pp. v-vi. Bunyan's name is now as much identified with British literature as that of Milton or of Shakespeare. George Offer, Preface, The Works of John Bunyan (1858) ed., George Offer, Vol. 1, p. vi. [I]n nearly all his works water-baptism is swallowed up in his earnest desire to win souls to Christ. All his effort is to fix attention upon that spiritual baptism which is essential to salvation, by which the soul passeth from death unto life, and from which springs good will to man, and glory to God. Bunyan, although unlearned as to the arts and sciences of this world, was deeply versed in the mysteries of godliness, and the glories of the world to come. He was a most truthful, ingenious, persuasive, and invaluable writer upon the essentials of human happiness. To refuse his Scriptural instruction, because he was not versed in chemistry, mathematics, Greek, or Latin, would be to proclaim ourselves void of understanding. George Offer, Preface, The Works of John Bunyan (1858) ed., George Offer, Vol. 1, Experimental, Doctrinal, and Practical, p. vii. The case to which I wish to call attention is... that of the author of the Pilgrim's Progress. The principal document concerned is John Bunyan's remarkable confession, entitled Grace Abounding to the Chief of Sinners, an autobiographical statement which Bunyan wrote... "for the support of the weak and tempted people of God." This little book... ranking... second only to the great Pilgrim's Progress itself. As a record of human experience, the Grace Abounding will never lose its charm, both for lovers of religious biography, and for admirers of honesty, of sincerity, and of simple pathos. Nothing that can be said as to the psychological significance... will ever detract from the worth of the book, even when viewed... as a "support" for the "weak and tempted." Josiah Royce, "The Case of John Bunyan" in Studies of Good and Evil (1898) p. 30. Bunyan... had at one time a decidedly heavy and morbid burden to bear. But, like many another nervous sufferer of the "strong type" (Koch's starker Typus), Bunyan carried this burden with heroic perseverance, and in the end won the mastery over it by a most instructive kind of self-discipline. In view of this fact, a clearer recognition of the nature of the burden, from the psychological point of view, rather helps than hinders our admiration for the author's genius, and our respect for his unconquerable manhood. It is this sort of case, in fact, that renders the study of the nervous disorders so frequently associated with genius, a pursuit adapted, in very many instances, not to cheapen our sense of the dignity of genius, but to heighten our reverence for the strength that could contend, as some men of genius have done, with their disorders, and that could conquer the nervous "Apollyon" on his own chosen battle-ground. Josiah Royce, "The Case of John Bunyan" in Studies of Good and Evil (1898) pp. 30-31. This is unquestionably a fairly typical case of a now often described mental disorder. The peculiarities of this special case lie largely in the powers of the genius who here suffered from the malady. A man of sensitive and probably somewhat burdened nervous constitution... is beset in childhood with frequent nocturnal and even diurnal terrors of a well-known sort. In youth, after an early marriage, under the strain of a life of poverty and of many religious anxieties, he develops elementary insistent dreads of a conscientious sort, and later a collection of habits of questioning and of doubt which... pass the limits of the normal. His general physical condition meanwhile failing, in a fashion that... appears to be of some neurasthenic type, there now appears a highly systematized mass of [painful] insistent motor-speech functions... accompanied with still more of the same fears, doubts, and questions. After [an] extended period, after one remission, and also after a decided change in the... insistent elements, the malady... rapidly approaches a dramatic crisis, which leaves the sufferer... in [an extended, but somewhat benign] condition of secondary melancholic depression... a depression from which, owing to a deep change of... mental habits, and [improved] physical condition, he... emerges cured, although with... his greatest enemy—systematized insistent impulses. This entire morbid experience has lasted some four years. Henceforth, under a skillful self-imposed mental regimen, this man, although always a prey to elementary insistent temptations and to fits of deep depression of mood, has no return of his more systematized disorders, and endures heavy burdens of work and of fortune with excellent success. Such is the psychological aspect of a story whose human and spiritual interest is and remains of the very highest. Josiah Royce, "The Case of John Bunyan" in Studies of Good and Evil (1898) pp. 74-75. The author of the Pilgrim's Progress has also left an autobiography... Grace Abounding, which is as remarkable from a psychological as from an historical point of view. This book is the best study for the origin and essence of Puritanism. It is a work which... has the significance for the seventeenth century that the Confessiones of St. Augustin have for the fifth, and the Confessions of Rousseau for the eighteenth. In these three books beats the full and living pulse of the times in which they were composed. Johannes Scherr, A History of English Literature (1874) footnote, p. 126. Some gentlemen abounding in their university erudition are apt to fill their sermons with philosophical terms and notions of the metaphysical or abstracted kind... I have been better entertained, and more informed, by a few pages in the Pilgrim's Progress, than by a long discourse upon the will and the intellect, and simple or complex ideas. Jonathan Swift, A Letter to a Young Clergyman, (Jan. 9, 1719-1720) as quoted in The works of Dr. Jonathan Swift (1768) p. 376. The value of the "Grace Abounding,"... as a work of experimental religion may be easily overestimated. It is not many who can study Bunyan's minute history of the various stages of his spiritual life with real profit. To some temperaments, especially among the young, the book is more likely to prove injurious than beneficial; it is calculated rather to nourish morbid imaginations, and a dangerous habit of introspection, than to foster the quiet growth of the inner life. ...Only those... who have known by experience the force of Bunyan's spiritual combat, can fully appreciate and profit by Bunyan's narrative. He tells us... that it was written "for the support of the weak and tempted people of God." For such the "Grace Abounding to the chief of sinners" will ever prove most valuable. Those for whom it was intended will find in it a message of comfort and strength. Edmund Venables, Life of John Bunyan (1888) p. 130. Great Writers series. This page was last edited on 19 January 2018, at 23:18.